← Sharon B’s Online Embroidery Classes to Start in February! Posted on January 25, 2007	by Linda S.
The year 2006 was my year to learn all about the patient side of hospitals and lab tests. During that time, the projects that I worked on were all small and were done in my recliner or at the kitchen table. This resulted in tons of “mess” that was then “stashed” where ever it landed in my work room. I am finally on the road back to 100% and …having enrolled in Sharon B’s Personal Library of Stitches class over at Joggles.com… it would probably be a good thing if I could find all of my threads, beads, supplies..etc… don’t you think? I am also starting my first quilt. It will be a Signature quilt with the signature embroidered on 4″ squares of fabric. These squares are in the mail to get signatures and the ones that I already have are embroidered. But I need ROOOMMM!! So for the next few days… if I am not here… re-organizing and re-doing my work room is where I will be…. 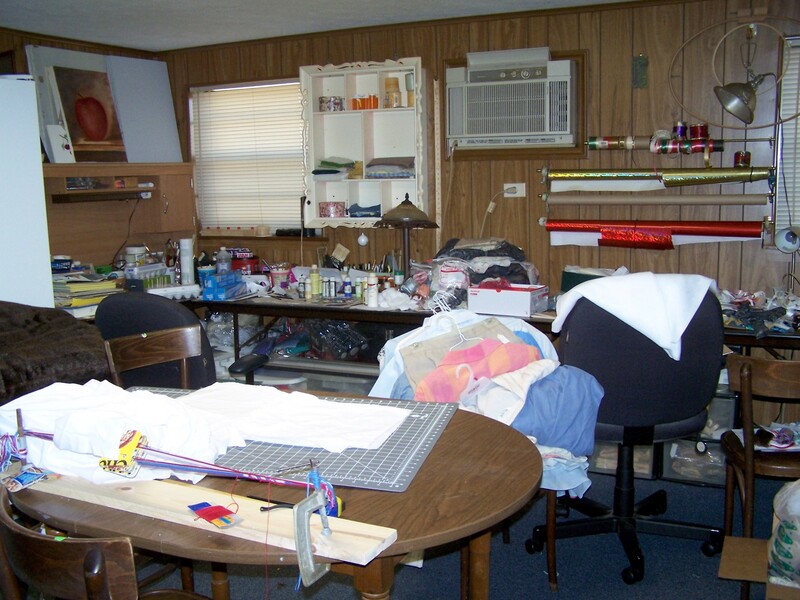 This entry was posted in Online Classes, Organizing, Personal, Quilt, Sewing, Work Room. Bookmark the permalink.